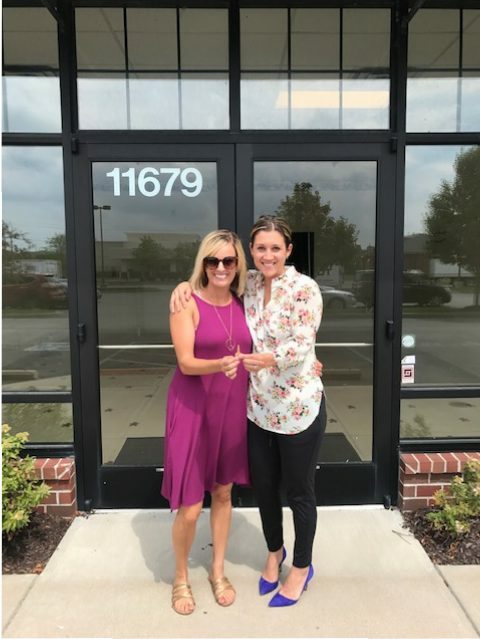 Fishers resident Libby Springer and her friend Lindsey Welcher are opening a new women’s boutique in Fishers, State of Grace, at 11679 Olio Rd. “Our boutique is a women’s boutique, and it offers women’s clothing, shoes, jewelry and accessories, scarves and hats and fun home decor-type items. We’ll expand it as we keep going,” Springer said. The two friends combined their skillsets in order to achieve their dream. “I have more of a marketing and business background. She has the background of being in a boutique. It was kind of a perfect combination,” Springer said. The business partners will have a grand opening party from 10 a.m. to 7 p.m. Sept. 16 with mimosas, wine, cupcakes and giveaways. “We’ll have a raffle for a pretty significant grand prize. If you spend a certain amount you get entered to win that,” Welcher said. Fishers has many boutiques, but most are downtown. State of Grance wants to offer unique items not already offered in Fishers. As female business owners, they want to empower other women by carrying women-owned brands.